I used to spend hours in record store sifting through stacks of new and used vinyl searching for something new and unique. Just like book stores, record stores were a place to discover old favorites and new gems. A place to find music that you could share with your friends and so much more. there was something about the experience that will never be captured by an online experience, no matter what your source is, be it iTunes, Spotify, Amazon, eMusic, etc. Predominant.ly designed and built by Open Work wants to change that. They want to bring to the online world the spontaneity of stumbling across a new find or an old favorite while searching for music. 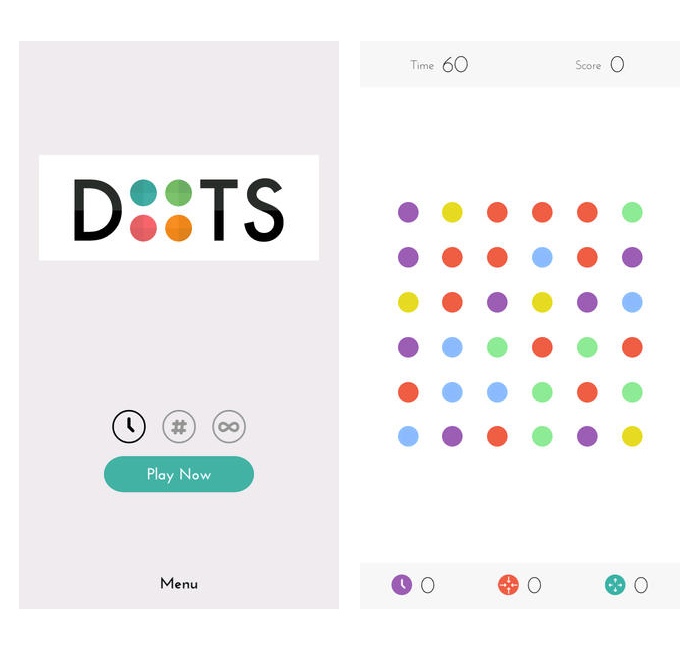 The concept is really pretty clever. 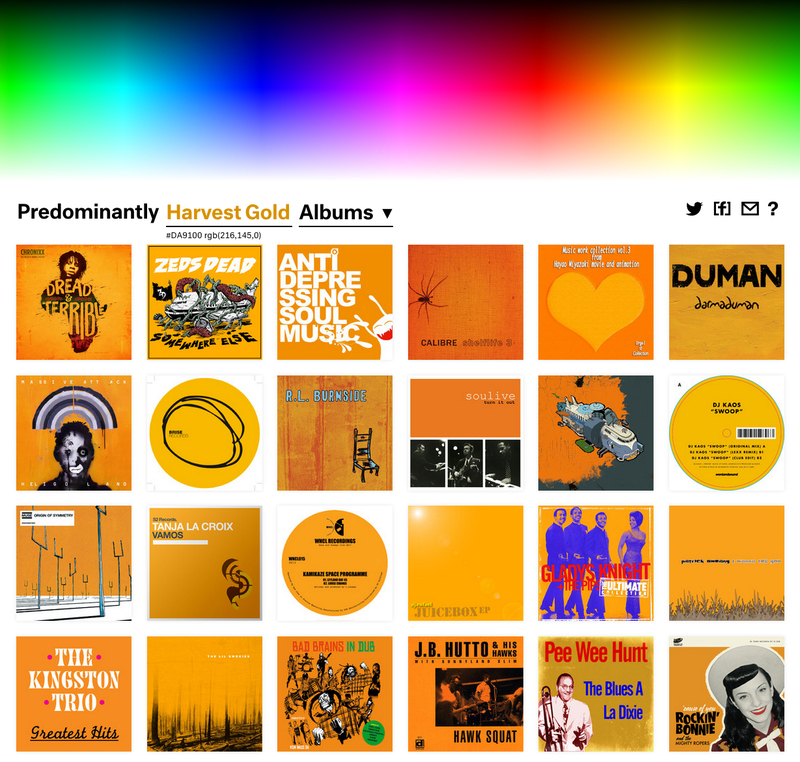 Based on color choices Predominant.ly serves up groups of albums where the covers match your color choices. The data is pulled from iTunes which makes the entire catalog available. The experience definitely lends itself to the concept of exploration in the digital space. Posted in Music and such, Technology and tagged Album, Amazon, Digital Music, eMusic, Interface Design, iTunes, Music, Predominant.ly, Record Store, Search Tools, Spotify, UI, Vinyl on February 26, 2015 by Author. Razorfish is Planning to Enhance Your Consumer Experience. While parts of this video might seem like an impractical way to experience a shopping experience, I guarantee you this is in your near future. As smart phones, tablets, interactive signage, and devices like Microsoft’s Surface and Kinect become more ubiquitous, this kind of experience will be more common. The example below centers around shopping for clothes, and actually eliminates trying things on. I doubt that step will ever go away, but this kind of digital interaction combined with real world experiences is coming. Posted in Android, iPad Apps, iPhone Apps, Smartphones, Technology and tagged Augmented Reality, Digital Integrated Content, Digital Marketing, Kinect, Microsoft, Razorfish, Smartphone, Surface, Tablet, UI, UX, Windows 8, Windows Mobile on December 5, 2012 by Author. 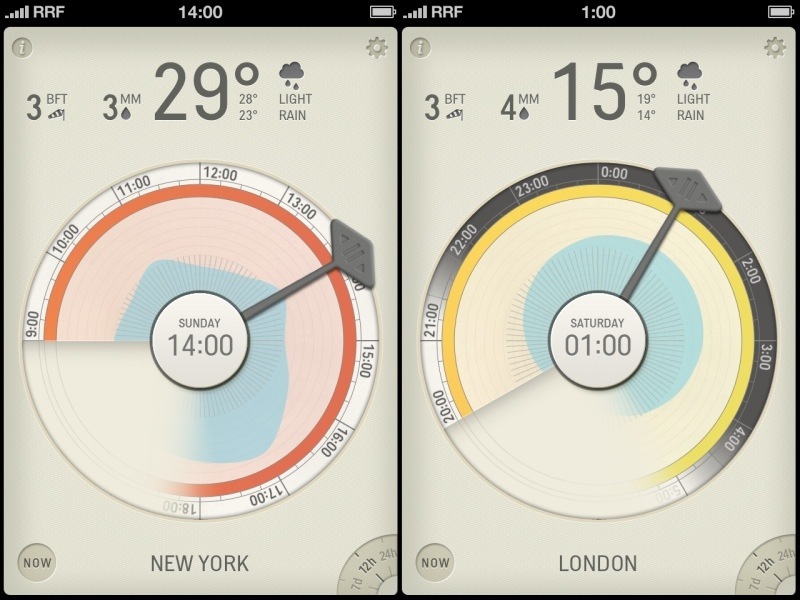 A little overs month ago I posted about David Elgena’s WTHR app that featured a beautiful, minimalist UI that Dieter Rams would swoon over. 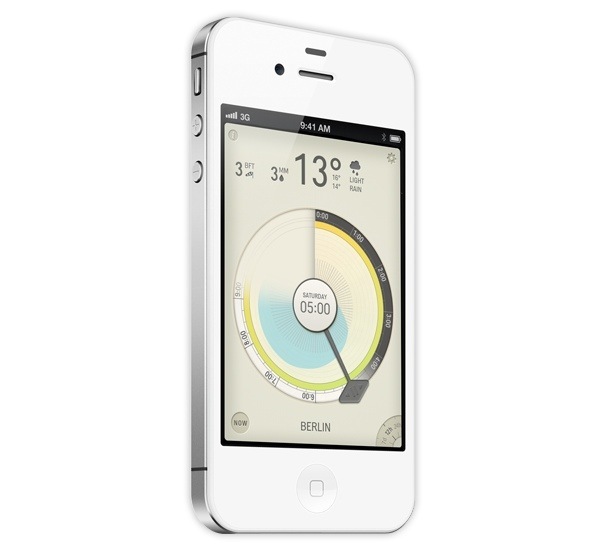 The app looks beautiful, but provides limited data, that isn’t much better than stepping outside and looking around. A little bit more, would have been a whole lot better. This is where Berlin design firm frost comes in. It’s all wrapped up in a beautiful easy to read package. 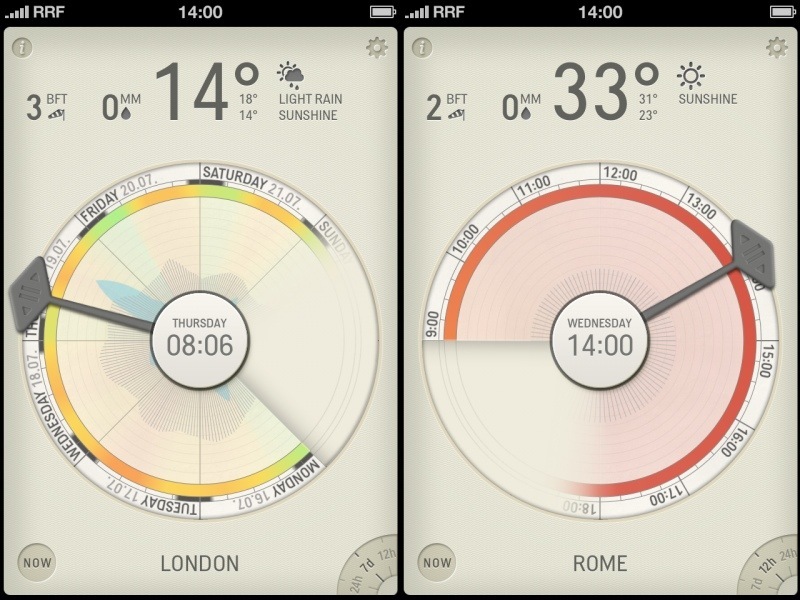 Posted in Information Graphics, iPad Apps, iPhone Apps and tagged App Design, Application, Design, iOS, iPad, iPhone, UI, UX on August 2, 2012 by Author. A Great Leap Forward. Gesture Based Computer Control. I’ve been pretty fascinated with the Microsoft Kinect for creating Minority Report style user interfaces and computer input. There is a new device that does what the Kinect does, and possibly jumps ahead of it by being available for desktop systems like Windows, and Mac OS X. Leap is about the size of an iPhone dock or large flash drive. It’s easy to use, you simply install the software, plug the device in, wave your hands to calibrate the system, and your off and running. From the examples in the video, there are a ton of possibilities here, but where I think there is huge growth potential would be point of sale and visual merchandising solutions. The fact that you can use your hands, or simply a finger to input information without having to make physical contact with the device is huge. Imagine being able to input, or interact with a screen behind a store front window, or in a store display. Leap has an interactive window of about 8 cubic feet from the actual computer set up. Plenty of room to create an interactive bubble in the environment. Originally designed to aid developers with 3D modeling, Leap has expanded to allow the control of a wide variety of applications. Leap is 200 times more sensitive than existing touch-free products and technologies and can track movements as closely as 1/100th of a millimeter.Pretty impressive if you have ever played with the Kinect development kit and know it’s limitations. The other nice thing about Leap is you can develop and define custom gestures which could be applicable to specific applications designed to take advantage of the hardware. Oh and, the cost of the device is $69.99 which makes it extra affordable. Posted in Innovation, Technology and tagged Gesture Control, Kinect, Leap, Leap Motion, UI, User Input, User Interface on May 21, 2012 by Author. The Mill. A 2 Million Node Interactive Touch Screen. The Mill is one of those shops that raises the bar every time to new levels. They are one of the best design/production houses in the world, and when you see their work you understand why I am saying that. Recently The Mill compiled the majority of their work and constructed an interactive touch screen wall to display it. What I love about the video below is this is a behind the scenes video. It shows you what went into making this, and the amount of work this kind of project requires. All to often in this business, people think this stuff is easy to make, and changes are a simple click of the mouse. This video is a great little piece telling the story of how The Mill built the installation, and was able to think about, the interaction, the UI and the way content was delivered. The final piece provided a completely free-form way to explore The Mill’s content all housed in a 2 million node universe that responds fluidly to interactive touches. Posted in Design and Art, Innovation, Motion Graphics, Postaday 2011, Technology, Video and Motion Graphics and tagged Interactive Touch Pannel, Interface Design, Motion Graphics, postaday 2011, postaday2011, Show Reel, The Mill, UI, Video Wall on August 19, 2011 by Author.